'A guiding light through life's stormy seas' by Drake Olmstead - DPC Prints! 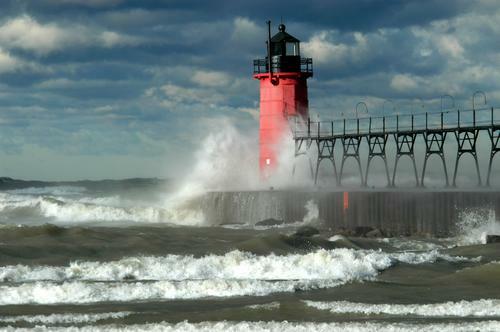 Taken at South Haven Michigan on 11-13-03. 50MPH winds and big waves and some sun. This photograph originally appeared in the Literalisms Challenge.